Academics from City University London have launched CommuniCATE, a new therapy project delivering technology-enhanced therapies to people with aphasia, a language disorder caused by stroke. A joint venture between the Centre for Language and Communication Science Research and the Centre for Human Computer Interaction Design at City University London, the therapies developed by the CommuniCATE project will target reading, writing and speech. The three year project, which is funded by the Barts Charity, also aims build on previous work to improve communication and promote the social wellbeing of people living with aphasia. Aphasia is an acquired language disorder. Most commonly caused by a stroke - and often affecting older people - aphasia can result in difficulty remembering words to losing the ability to speak, read, or write. The condition affects around 250,000 people in the UK. All the therapies used in the CommuniCATE project will be enhanced by either specialist or mainstream technologies. 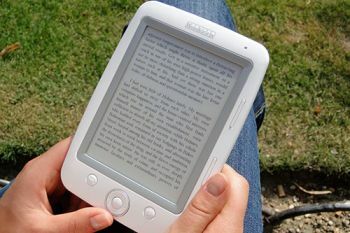 For example, one strand is using text to speech software and e-readers to help participants resume reading activities, including reading websites, correspondence and novels. In addition, the project will evaluate therapy outcomes and contribute to the research evidence base. Speaking about the project, Professor Jane Marshall, from Language and Communication Science, said: "This project builds upon an exciting stream of research at City University London, which has explored applications of computer technology in aphasia therapy. It will enhance the services offered to people with aphasia in East London and help us to understand the therapeutic potential of many familiar technologies. Engagement with local speech and language therapy teams is intrinsic to the research, ensuring that our methods and findings will make a real impact on practice." The launch was attended by over 60 visitors including many people with aphasia who are participating in the research. Other delegates included family members of participants, speech and language therapists and aphasia researchers from other institutions. There were also representatives from the project partner organisations and from the Barts Charity. Around 20 students from the Research Centre were also present at the launch. The project will provide an important training component for students of speech and language therapy and current practitioners, with many of the students also taking clinical placements with the project. Following a welcome from Professor Newman, Dean of the School of Health, Professor Jane Marshall, outlined the range of aphasia research currently taking place in the School. Dr Celia Woolf (Project Director), Dr Anna Caute and Katie Monnelly (both researchers), who are involved in the project, then described the plans, with accessible images and videos to exemplify the therapies. John Smejka also gave a very moving presentation about his stroke and his positive experience of participating in research at City University London. This was then followed by questions from the floor, compered by Dr Madeline Cruice, Senior Lecturer in Language and Communication Science at City University London. These explored the cost of the technologies and the likely long term influence of the work. Finally, delegates were invited to mingle with the research team and try out the different therapy approaches. CommuniCATE is a collaboration between the Centre for Language and Communication Science Research, the Centre for Human Computer Interaction Design (both at City University London), Barts Health, Homerton Hospital and the Stroke Association. The grant holders are: Jane Marshall1, Celia Woolf1, Madeline Cruice1, Stephanie Wilson2 and Carol Stokes2.